My battle station was fire control on the 40 mm guns. I received orders from the gunnery officer and relayed the message to the gun crews as per instructions to aim the guns at the oncoming planes. This was done by the radar system. In my battle station I could see almost everything around our ship. Kamikaze planes were coming in from the port side, some would crash just before hitting our ship, some would be on fire and head for a ship of any size to hit. I saw one ship get hit by two planes at the same time. I saw several planes get shot out of the sky and crash into the sea. Some would fall near our ship. Our Marines fired the 20 mm guns constantly as planes came as close as 50 ft from us. The sky was full of explosions. After the all-clear signal came, we headed toward the island for more bombardment. About a half-hour later everyone was back on regular duty. One Kamikaze having hidden in the clouds undetected by the radar came down. This tragedy killed forty-seven and wounded eighty-one on our ship. One sailor standing next to me was blown away. I never saw him again. I was down below in officers’ quarters when the chaplain came to me and commanded me to take him topside. He was burned bad and suffering smoke inhalation. I was suffering from smoke inhalation, and something told me to get in the shower and turn it on for air. I stayed close to the shower for about a minute, then I was able to get the chaplain topside. He died three days later on a hospital ship. I saw mangled bodies all over the deck, arms and legs were everywhere, bodies without limbs. I had known them personally. 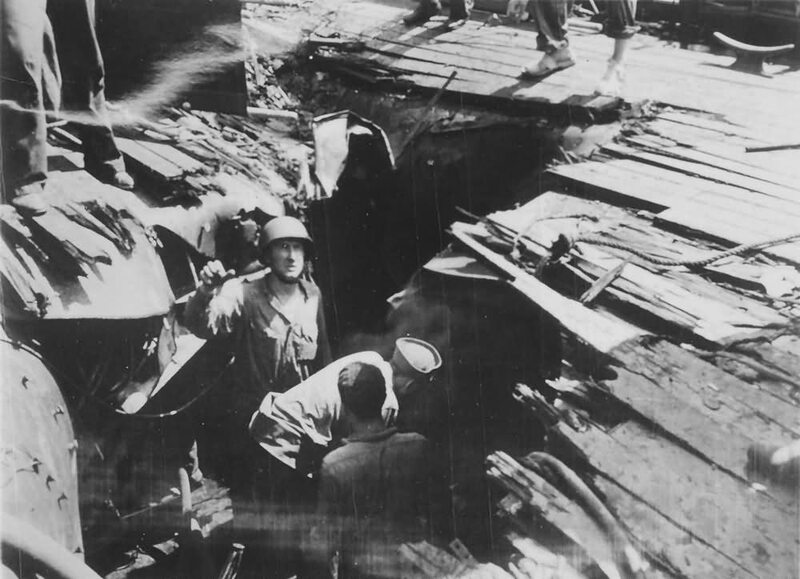 I walked by my living quarters and heard men screaming as the rescue squad was closing the hatch on them to keep the compartment from flooding. I then walked to the back of the ship and sat down for a while. I was elected pall bearer as most of them were from my own division and I knew most of them. We were friends. They were all buried at sea. We went back to normal duties. All my belongings had been destroyed, and I was assigned to another division temporarily and started out again as a sailor going about normal duty. We headed to Pearl Harbor for repairs. We were there for three months. After repairs were finished we sailed to Tokyo Bay. We were preparing to attack, but the Enola Gay dropped some bombs and peace was declared. Bill Cooley – Seattle, WA; US Army, WWII, Lt.
Ballard Marshall – Richmond, KY; US Army, Korea & Vietnam, Sgt. 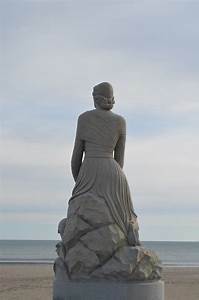 Posted on May 14, 2018, in First-hand Accounts, WWII and tagged 1940's, family history, History, Kamikaze, Military, Military History, Navy, Tributes, veterans, WW2, WWII. Bookmark the permalink. 118 Comments. Aw, damn. 😥 War is hell. Dat moet nogal dingen veranderd hebben in het leven van de overlevende.Dingen die voor eeuwig op hun netvlies gebrand werden en nooit meer zouden verdwijnen. A great story! 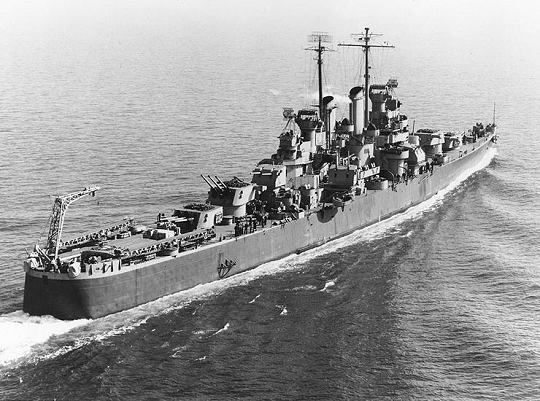 It reminded me of a book I read some time ago called The Ship That Would Not Die … about the USS Laffey. It was another great story about a ship that survived 22 Kamikaze attacks in one battle. Say hi to the Boss! War begins with failed national leadership; it was the case in WWII. Trouble is, these failed leaders don’t go to war themselves. They send youth in their place… but if war is to be fought, it needs to be fought to win. Failed leaders need to keep their mouths shut and their personal agendas locked away. Let the military do their thing as theybare right now. Agreed, Koji. I’ve had people ask me why we don’t win the wars of today, when this shows just how formidable we can be. I don’t hold back in my reply, so you can imagine my answers because you and I agree!! I am wide eyed from reading this account. Thanks so much for posting, GP! The stories from their own point of view are always the best!! Another great personal account of WWII. The sites he saw would have been burned in his mind for the rest of his life. I so agree, Bev! I don’t think anyone could possible forget watching a plane aim right at you or how many of your friends it killed. As others have already said, this is a powerful story. What a terrifying experience. Looking back on all they went through, it’s as though we don’t have the proper words to describe it, do we? An experience like that would be tough to fully express through words alone. Such a spare, powerful account. Sometimes, there just isn’t anything to say. On the other hand, I suspect all of us have had the experience of having to pick up and go on after a traumatic or difficult event, even if it wasn’t nearly so dramatic as this. I think that’s part of the reason we respond as we do to these personal accounts. To one degree or another, we do understand them — and appreciate even more what these men went through. I always receive more visits and comments on the eye-witness accounts and I agree – we, on a small scale, relate to it and trust their opinions over the statisticians and historians. Agreed. A short letter with the facts as he saw them, but you can still feel the emotion there. Clayton Tuggle may the Lord face shine upon you! I hope I answered everything alright. But I do not accept them. I thank you for asking. Everything is great. Thanks anyway. No worries at all. A sad and horrific post gp, words cannot convey thoughts, what an horrific legacy to carry in your mind for life. Commendations to Mike Tuggle for sharing his family story. Clayton Tuggle’s account is very affecting. No dramatic language but the drama and horror of his experience come through. I can feel his sense of loss across the years. You get the feeling that he remembered each one of them throughout the years – right? I don’t know what to say, I’ve never heard or read such a descriptive first hand account of anything so desperate and amazing, ever. I feel honored that Mike entrusted his father’s story with me. My uncle was on the USS Hilsman when it was hit by a kamakaze plan… wish he had talked more about it, but I did find a crumpled photo he had of the hole in the side of his boat. Anyone here reading, serve on that boats? Jeanne, someone is going to tell you to call them ships, so I quickly do that and get it over with. We have quite a few people here from the Navy – I hope you get some answers and thank you for reading. If you recall any story your father did tell you – pass it on. I thank you very much for helping me to share this very worth story from one who was there. That dry, matter of fact account is so moving…you can see it all through his eyes. As others have said, the things that these men saw, and yet they came home and took up their lives again despite it all. Agreed, Helen. They were strong for their country and family – to me that makes them the best! A spare but intensely moving narrative (tears here). Thank God for the Greatest Generation. Mike Tuggle is my son-in-law and I only knew Clayton as Mike’s Dad. This article in his own words made me see another side of this courageous man. I am pleased to meet you, Barbara, and I am glad this post carried Clayton’s letter to you. Thank you. Mike-Your Dad Clayton Tuggle exemplified the reason they called his generation “The Greatest Generation”! I appreciate that john, but this post is all Mike and his Dad!! Every time I hear a story like this during an interview with a WWII vet, I’m stunned. ‘How could they ever sleep, marry, raise children well, be productive in their communities, etc. after experiencing all of that? I’d be pretty messed up- maybe forever. And yet the guys I’ve met were kind, sweet, many God-fearing and leaders in society. Makes me re-think my thoughts. Make sense? Thanks for sharing. I (personally) feel that it has a lot to do with whether they were thinking of others and being strong or feeling sorry for themselves as to how they reacted to those horrifying situations. I appreciate your comment and feelings on this. My thanks to the many readers who shared their feelings about my father’s short and heartfelt memories about Okinawa. And eternal thanks to GP Cox for the fine work he does on this blog. I can tell it is a labor of love. It must be terrifying seeing those planes aiming at your ship and knew it’s the end. I got emotional reading all the casualties. He was a brave man to get back to normal after seeing those carnage. Thanks for posting this. It gives us an idea what it was like to be in the middle of war. I salute him and my sympathy and prayers to the family. A wonderful comment, Rose. I can feel your emotion in your own words. How do you witness all that and then just carry on ‘normal duties’? It’s no wonder so many are traumatised by their experiences. There was no time to feel sorry for themselves. They grieved later and them once again, back to work on surviving the war themselves. Of course many ended up with what we call today PTSD and i suppose I should get on a post about that for the end of this blog, eh? Sadly you’re right, there was no time and PTSD certainly is common! This is just awful to read, and yet he wrote it in such a matter-of-fact manner. I bet even years later he hadn’t really dealt with what he saw that day and writing in that manner was as close as he could get to his true emotions and scars. 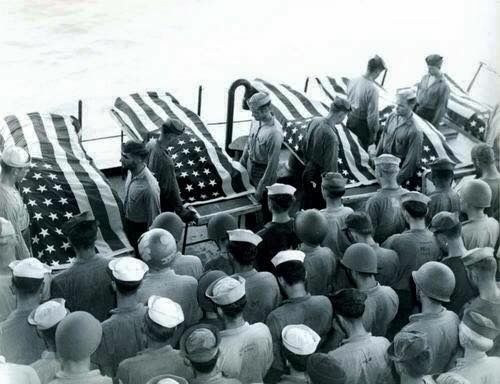 They were strong for God, Country and Family, he remembered, but didn’t dwell on it, and they did not feel sorry for themselves (IMO), that’s just how that generation was. 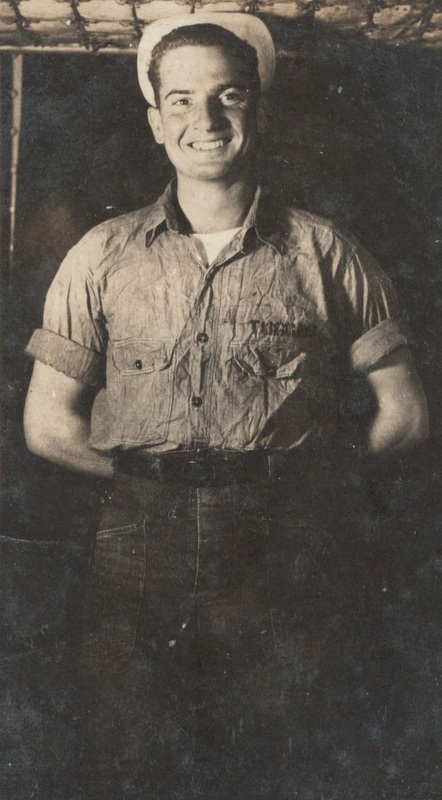 My uncle fought in World War II—I don’t even know where. He never talked about it except to mention that someone was his “army buddy.” I know there were scars we didn’t see. They went on with their lives as best as they could. The things that Isis have done in Europe are scary enough, but to have each one of them armed with an aircraft and keen to use it is a very frightening prospect. Clayton Tuggle must have been a very brave man indeed. I would imagine that no one has had that feeling of seeing a plane aimed at you outside of the survivors of the World Trade Centers. I can’t comprehend what that would be like. What a story–300 kamikaze planes! “The odds are against us but go down fighting!” When those boys got back from the War, nothing would frighten them. They went on with their lives – they still amaze me! It takes few words to describe the horror of war when you were there. It takes thousands of words to describe it if you weren’t there. I could feel Clayton’s emotion. Thanks for posting, GP. Correct. This is quite the emotional story for those who were there. Makes me want to cry…and so I did. I don’t know if I shared with you, but last summer while my Dad was dying he, for the first time in my life, shared about his time in the Korean War. These stories are important…thank you! Most definitely they are important and I understand your tears. It is a good thing he allowed you to hear his story. Thanks 💜 I thought so, too. It struck me as sad that I never asked him about it. You probably would have gotten the run around. Who would want to tell their young daughter about war? He waited till the time was about out. Thank you for posting this tribute to Clayton Tuggle, GP. He came from an amazing generation. That he did, Lavinia, and I’m proud to do it. Loved this, what a great wee read. It amazes me that despite the carnage these men experienced they returned home and lived fulfilling lives – I feel I’d be shattered to the core. A truly remarkable generation and like they say, they don’t make em like that anymore. Excellent comment, Ross. We have some such as them these days, but none that made a comeback like these did. What makes your blog so interesting, GP, is the frequent insertion of eye witness accounts such as this one by Clayton Tuggle. These personal accounts highlight the tragedy of war so much better than the dry statistics often found in history books. Exactly, Peter. The dry tone of facts and figures doesn’t add the emotion involved. We had a million eyes out there, which give us at least that many stories and points of view!! This was a great read. Thanks to brave soldiers and sailors like Mike Tuggle’s father, we have our freedom. Thank you for sharing his story. It was my honor. When Mike told me his father passed on and he had written his tale of Okinawa – I jumped at it!! Teaching the children how to sing “God Bless America” tomorrow, and how to stand with hands on hearts and show respect. I’m proud to know you, Jennie. You are helping to shape good Americans for her future. Thank you! That means a lot. I will always champion for patriotism and teaching it in the best of ways. Thank you, Michael, for helping me to honor Clayton Tuggle!! It’s amazing that, probably many times during his service, he could look back and say “…we went back to normal duties.” All the death and destruction, but life and the war continued for some. So true. They had to “buck-up” and carry on – no matter what. Thank you to every man and woman who lived this. And my truest sympathies that you ever had (have) to. I hope they can all hear the words from where they are now. You and me both, Colleen. They just may feel there’s hope for us yet! Me too GP. You do us all such a service here. Thank you very much. That is a wonderful compliment! We have a lot to thank him for, along with his crew mates. Thank you for stopping in, Derrick. I feel honored that Mike entrusted his father’s story to me. First of all, Please accept my sincere condolences. After turning on my Laptop, this topic came out before anyone else, and I read this without translation. I just ..You will never know how much I (Japanese) appreciate it. I will make certain that Mike sees your lovely comment, Nasuko. I know it comes from your heart. You are sweet. Always stay as you are! When anyone, anywhere loses a loved one, there are no words to fill the void. I understand what you’re telling me, Nasuko. A great tribute to Clayton from his son. What a harrowing account of the horrors of war at sea, facing a determined and fanatical enemy. It says much about the character of those brave men that they were able to resume duties after such attacks, and then go on to live good and useful lives after 1945. Like I repeat constantly (and never tire of it), The more I learn about that generation, the more they amaze me!! I felt honored that you asked me to have this letter. Thank your brother for me as well. Thank you for sharing this outstanding story from one man who was there.